Fujikura is famous for manufacturing the most reliable fiber optic fusion splicer in the world for more than 20 years. ITOCHU France keeps a historical partnership with Fujikura as its exclusive retailer in France for more than 25 years. Through this partnership we are proposing not only high quality fusion splicer but also a local after sales service dealing with repair and maintenance of Fujikura's fusion splicer. Each new fusion splicer model brings an unequaled high level of quality and innovation. 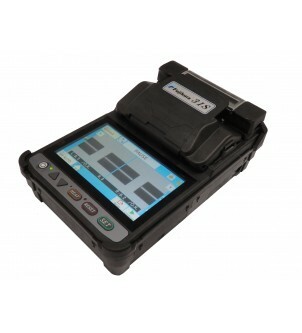 Fiber optic fusion splicer Compare these productsThere are 4 products. Essential tool for preparing the fusion splice of a fiber, Fujikura cleaver offers the best cutting quality ! "Top of the range" fully automated fiber optic splicer with integrated heater, "core to core" alignment. Unique specs on the market ! True "Swiss Army Knife" of Fusion splicer, the 70S+ is ideal for connection in Industrial and Telecom environment. It is THE reference of fiber optic fusion splicer ! "Traditionnal core to core" alignment fiber optic fusion splicer with integrated heater. 62S+ is ideal for connecting Telecom cables with high capacity.